Here are some fun and interesting dental Q&As, facts and trivia to chew on, for the holidays. To get things started, let’s take a look at Tooth Fairy payouts – the first regular income that most children can expect to earn and save. Tooth fairy pay-rates over the years: In the U.S., the average amount of money that the tooth fairy has paid for teeth has changed over the last 100 years. In 1900, it was 12c; in 1950, it was 25c; from 1980, it was $1, for the next decade; and in 2015, it was about $4. All up, a child can expect to earn about $80 nowadays, for trading in their entire set of baby teeth with the tooth fairy. Did kids from ancient times have tooth decay? No. In anthropological studies, researchers have found little evidence of wide-spread tooth decay among children of the past. Why? According to the American Dental Association, this was because sugar was not included in their diet. In Britain, at the start of the 18th century (1700s), the average sugar intake (in one year) was 1.8 kg. In the 19th century, it quadrupled. In the first half of the 20th century, it doubled again. Finally, in the last 50 years – the golden age of modern junk food – sugar intake has tripled, which leads us to the next question: What is the annual average sugar intake today? The average is approximately 140 kg! Do other animals develop tooth decay and cavities? Animals generally don’t experience tooth decay and cavities, because they don’t eat sugar (or refined carbohydrates). That doesn’t mean they don’t have oral health problems. 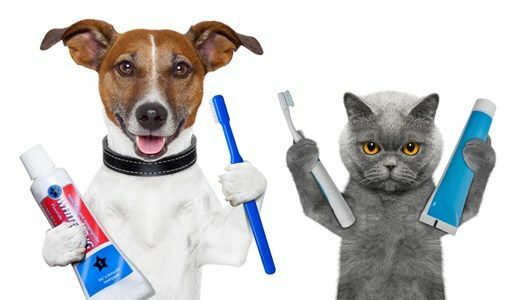 Cats and dogs can develop plaque, tartar and gum disease, just like humans. How much of your tooth surface do you miss cleaning, if you don’t floss? 35%. Flossing is as necessary for good oral health as brushing your teeth. Floss once a day, before you go to bed. At night, your saliva production drops significantly, allowing oral bacteria to feast (and multiply) on food residue, as you sleep. How many times do you use chew or bite in one year? 345,600 times, though this figure can vary depending on the kind of food you eat. At any rate, it pays to keep your teeth strong and healthy to do all that work! Finally, what cheeses have been found to protect teeth and prevent tooth decay? Aged Cheddar, Swiss and Monterey Jack.